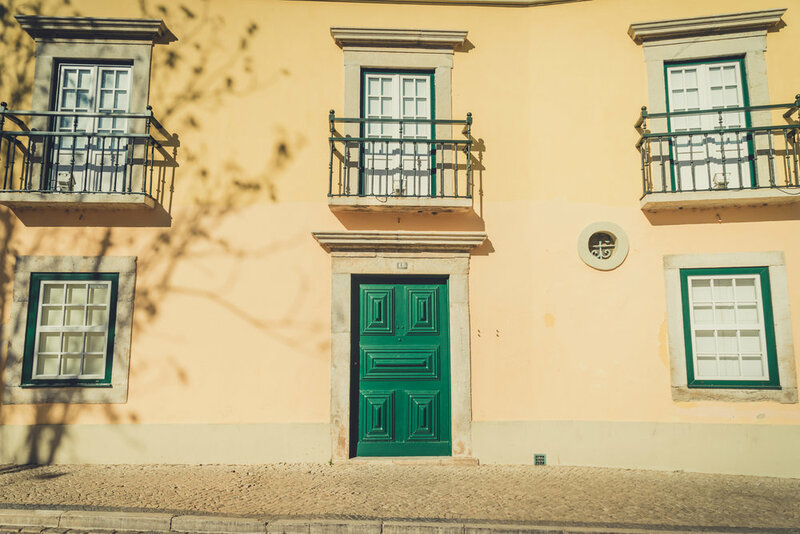 During our month-long house sit in the Algarve, after we’d finished all of our hard work building furniture and photographing the apartment for Airbnb, we took the chance to hit the road and see as much as possible. 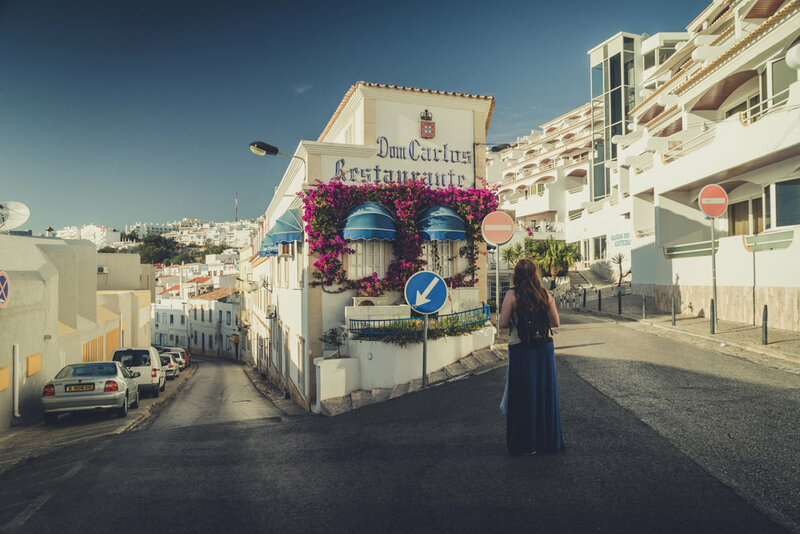 Although we went out nearly every day, we certainly didn’t cover absolutely everything the Algarve has to offer but we did our best! 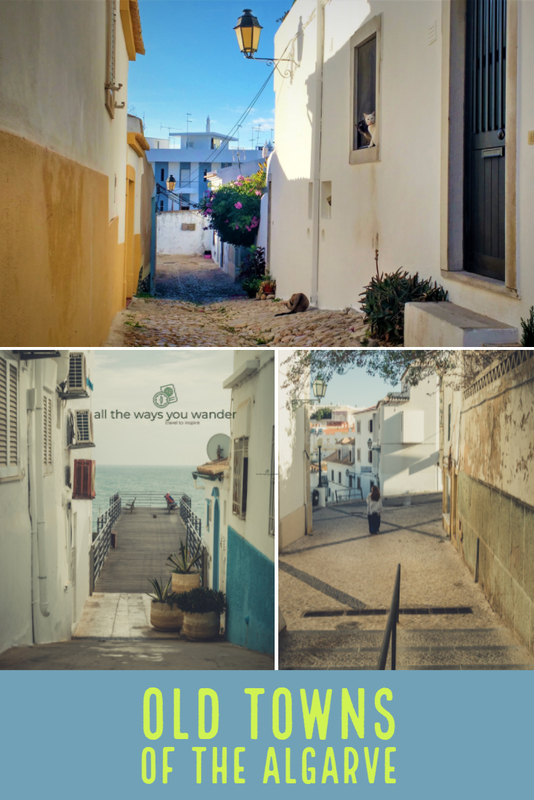 Next time we go back we’re looking forward to exploring further west to places like Silves and Lagos. These are the towns we visited, which were mostly in the east and south and are easy day trips with a car. 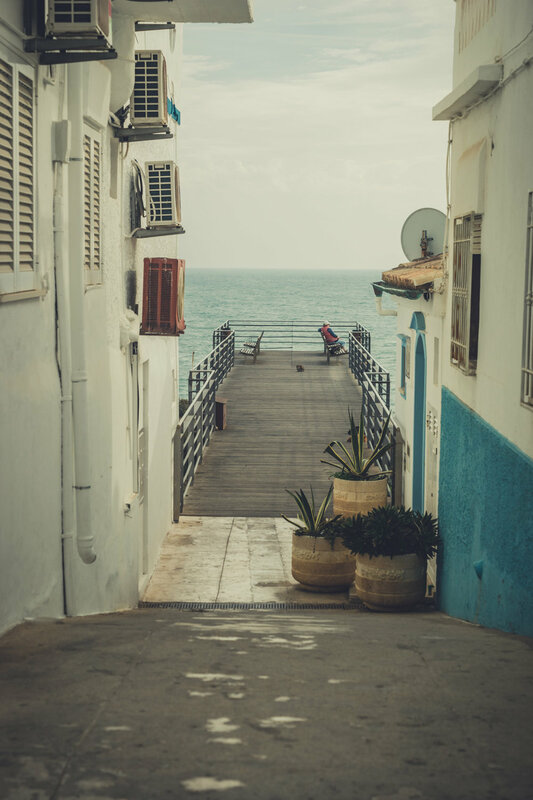 Our first town to highlight on this list is Albufeira. It’s an obvious one, as it is almost synonymous with the Algarve, especially for boozy, party-style package holidays. It certainly is a very loud and busy place during the high season and its famous strip of nightclubs and bars are packed with revellers day and night. Yet, this scene couldn’t be further from your mind as you wander the old town in the offseason. Although there are still holiday-makers there in December, it’s a totally different vibe. 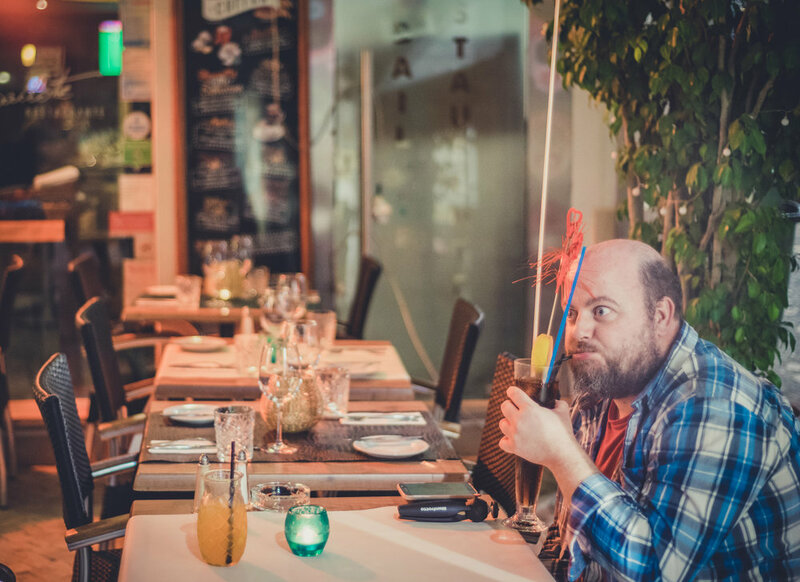 With most nightclubs closed for the winter, you can easily find a quiet bar for a drink and walk into any restaurant (that’s open) and grab a table. 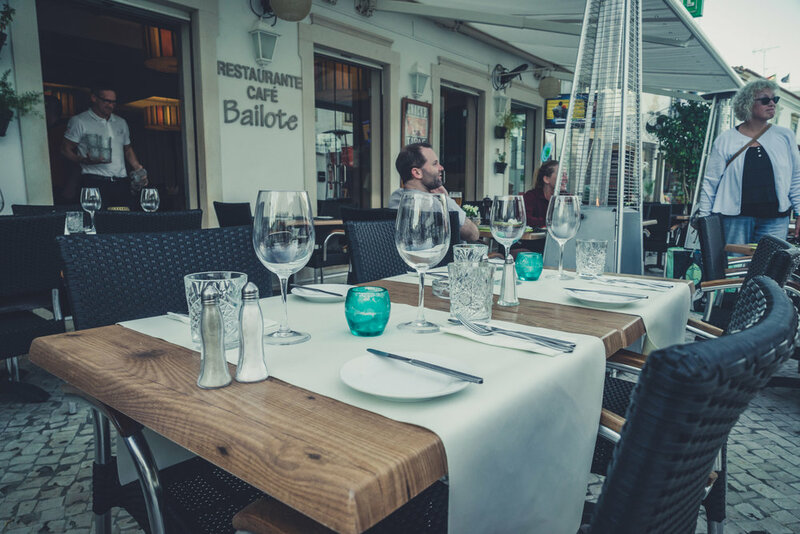 We had a couple of relaxing cocktails in Baloite and had a lovely Indian meal in Jaipur .We didn’t get the impression that Albufeira is a place for local, traditional food so we were happy to tuck into a curry! Outside the old town, it’s your typical holiday resort town with plenty of shopping, bars, nightclubs, restaurants, huge hotels with pools - you name it. The beach isn’t huge but, again, in the offseason, you have it mostly to yourself. There’s escalators and a lift on either end if you’ve had too much sun and beer to get back up the steep hills! 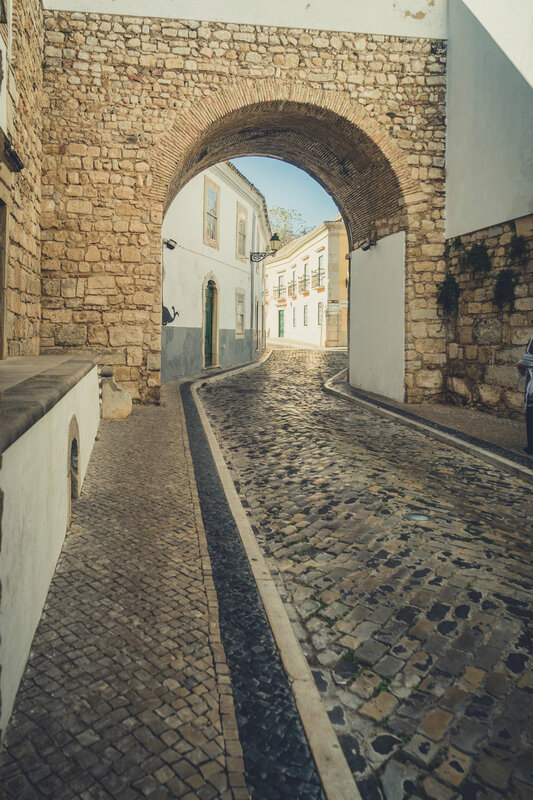 You’ll want to visit Faro for its historic old walled town. 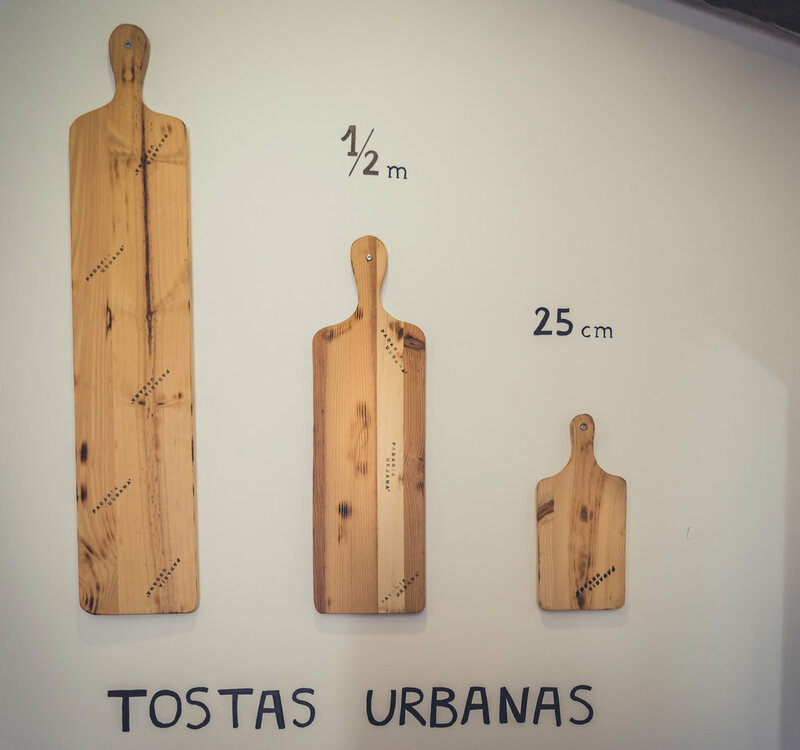 Faro also feels a little bit more ‘lived-in’, being a major residential city. 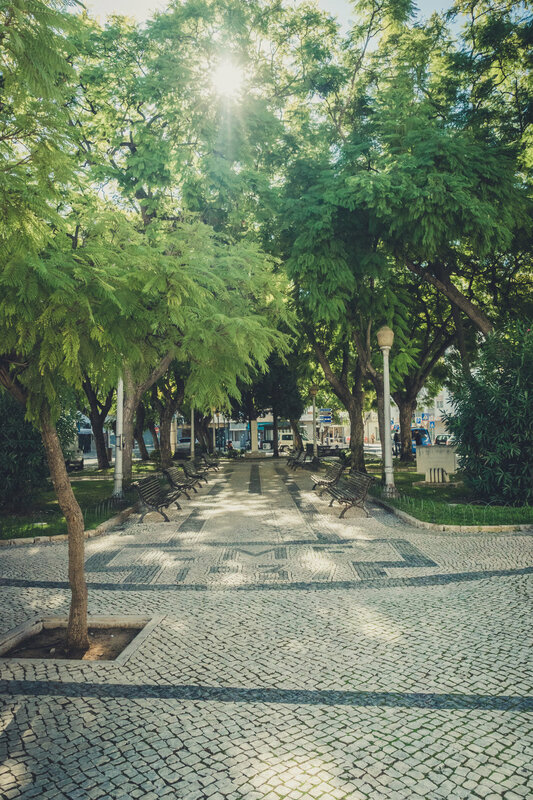 Unlike the resort towns out west, you’ll see plenty of locals here going about daily life and you can join in with the Portuguese café culture and people-watch in the sleepy tree-filled plazas. 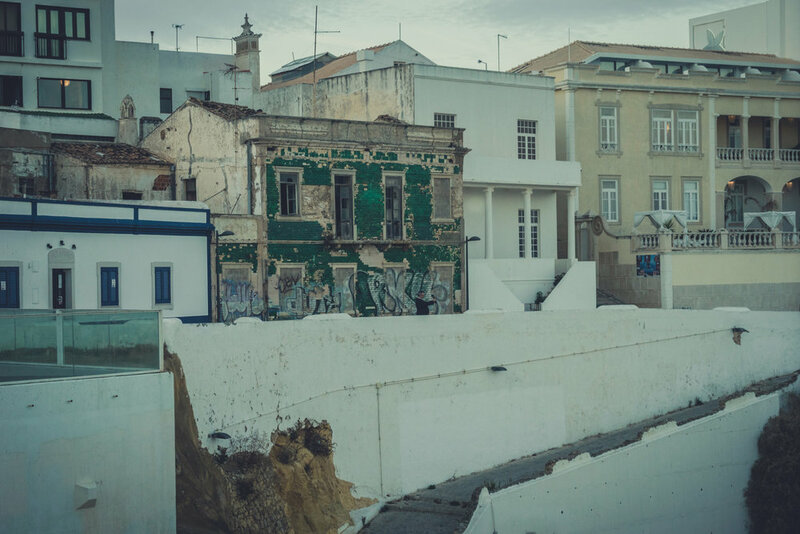 There’s more opportunity here to immerse yourself in Portuguese history and culture, with a great selection of local food and a nightlife catered more towards local residents. 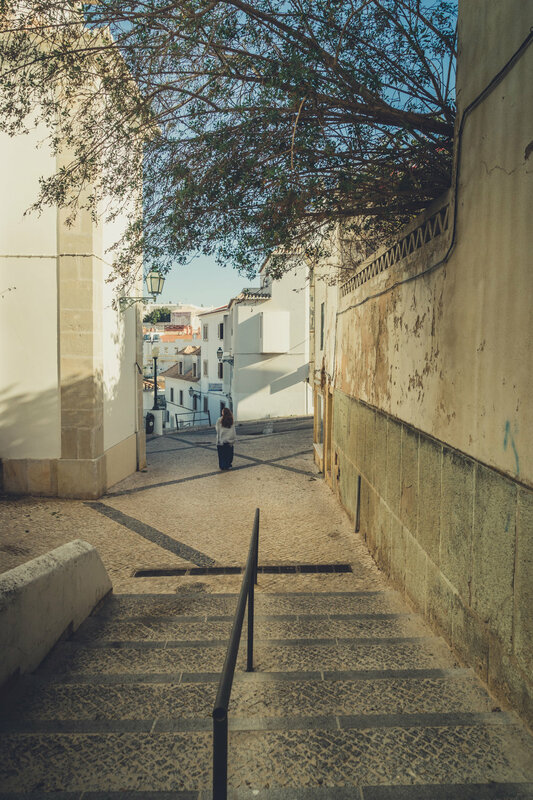 The walled town is beautiful and you can admire medieval Moorish gateways and an ancient bone chapel, with spectacular views from the top of Faro’s Cathedral. There is a beach life side of Faro but these beaches are not within walking distance so we didn’t get out to them. There’s also a nature park for birdwatching and a myriad of boat tour companies to take you out to the mudflats and sandbars to see the wildlife. We didn’t partake as we were too busy eating cake! 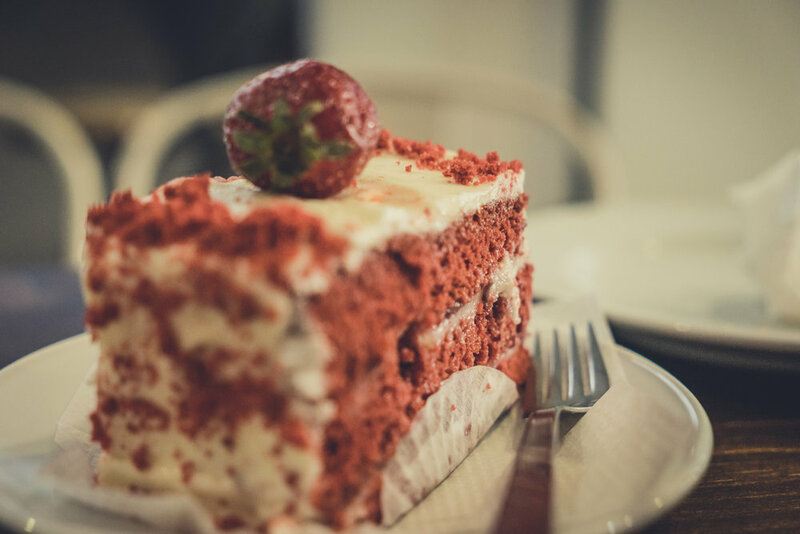 Seriously, we tried a lot of cakes in Padaria Urbana. 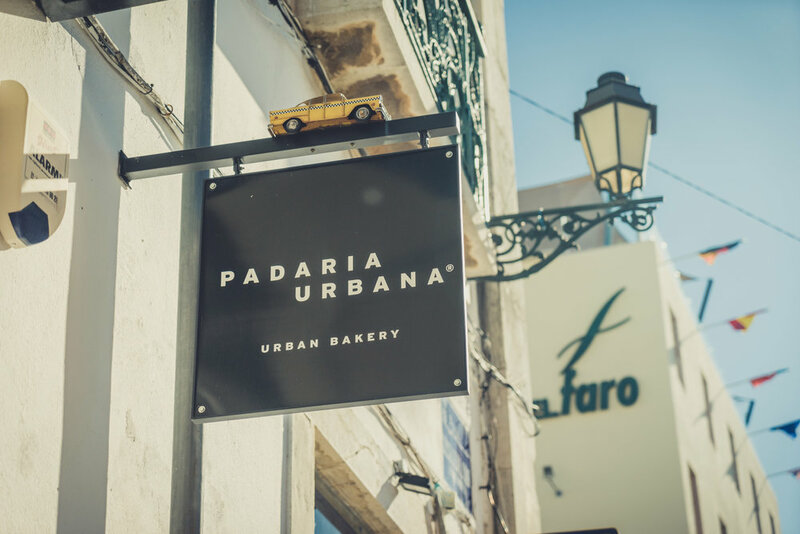 We think it’s a place you must eat in if you are in Faro - their pastries and fabulous cakes are delicious! 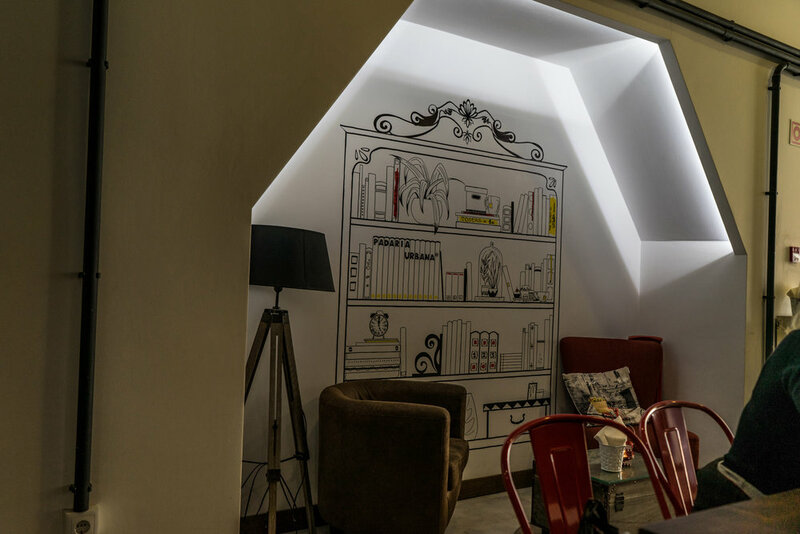 They have a glass wall dividing the bakery and the café so you can watch them hard at work, creating all the amazing desserts and fresh bread laid out before you on the shelves. It’s a great place for a decent coffee and a light lunch too if you don’t have much of a sweet tooth. After stuffing your face, walk down to the pretty marina and head along the riverfront to watch the boats. For the best view of the sunset accompanied by a cool drink, we picked O Castelo although it was just a little pricier than we were used to in Portugal. It was worth it though! 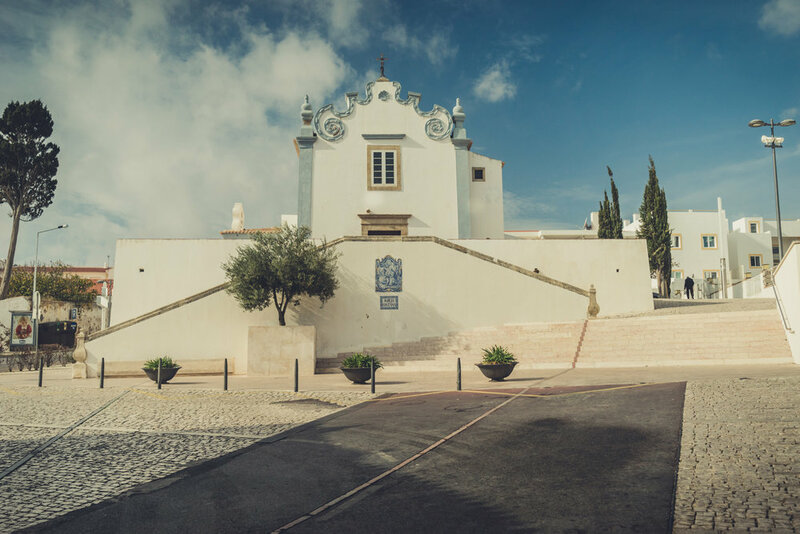 Tavira is easily accessed by public transport if you’re based in Faro. If you’re based in Albufeira though, it wouldn’t really be an ideal day trip unless you had a car. We were glad we had ‘Clem’ (we named our rental car!) as we were able to take an alternative route to Tavira and see lovely little rural towns and farms, inland from the coast. 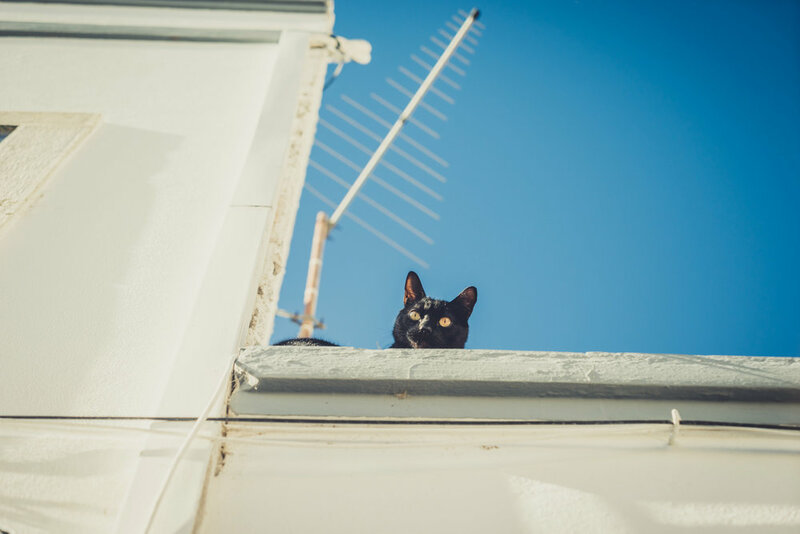 We’d heard Tavira had a more relaxed vibe, compared to the rest of the Algarve, and we looked forward to experiencing its famed traditional character and laid-back charm. We were delighted to discover it had oodles of both and its Roman, Moorish and medieval past are still very much evident, having been saved from the usual tourist boom that overtakes most old cities. 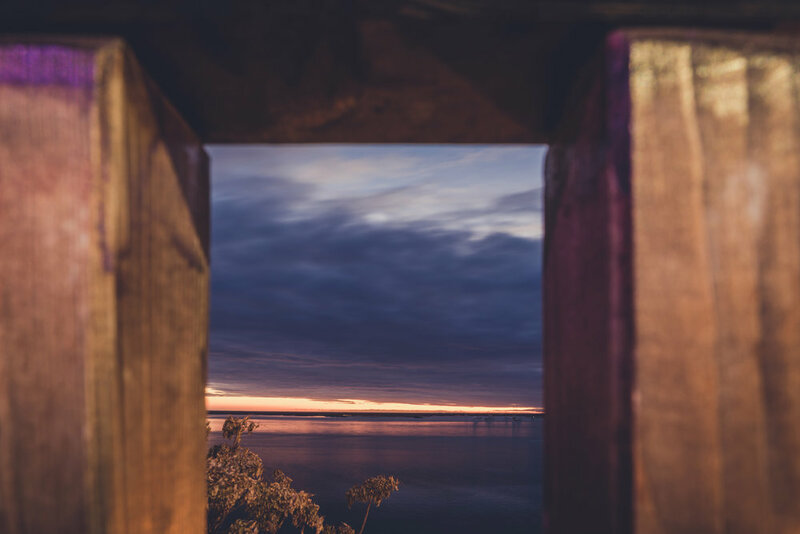 Its position on the River Gilão, which you cross on a restored Roman bridge, makes it a truly picturesque place to visit and the views from the medieval castle (built on top of the original Moorish fortifications) make for some great photo opportunities. There are some lovely squares, found down narrow cobbled streets, to sit in and admire the beautifully tiled facades of old houses. Unfortunately, we didn’t have much time here, having included Faro on this particular day trip, and I didn’t want to be driving in the dark - I was nervous enough driving in Portugal. We would have liked to take the ferry out to its famous island beach and we only got inside one of its 20 churches. 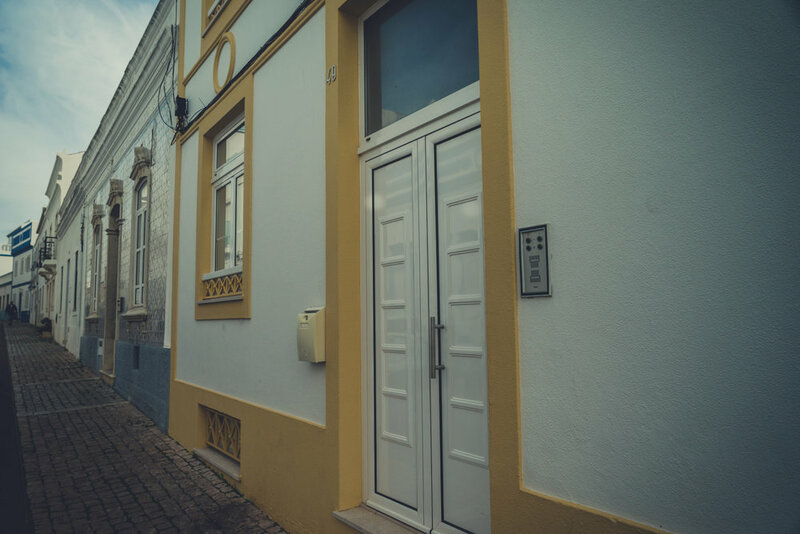 We were definitely taken with Tavira, so we vowed we’d come back sometime in the near future and spend a couple of nights to fully immerse ourselves. We’d seen a poster for a wine festival coming up in this town and put the date in our diary. We hadn’t been to any wine tastings, as of yet, in Portugal. It was only 20 minutes from the apartment so we set off early to catch the famous Saturday market in the centre of Loulé. When we got there, it was absolutely jam-packed, so after a bit of driving around, we found a parking spot outside the old part of town. We ambled back up from there, across the main street and found ourselves at one of the busiest markets we’d ever seen. Such an array of fruit and vegetables, fresh fish, freshly baked bread and cool crafts - it was fantastic. The main market is housed in a beautiful Moorish-style building with more stalls packed into the streets around it. 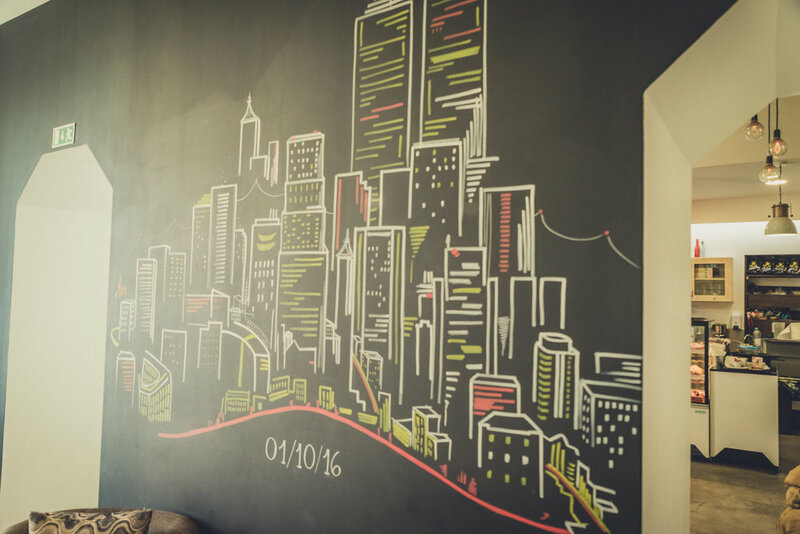 When you’re here, sights and smells abound to inspire your culinary skills or just rumble your belly! We went walking in the old town, getting lost in tiny cobbled streets (which happened to be draped in red carpet for Christmas!) and found ourselves at Café Q. This place is gorgeous. Its bright-white courtyard is adorned with colourful flowers, lemon trees and vines for shade and, inside, it has a rustic charm and is beautifully decorated. 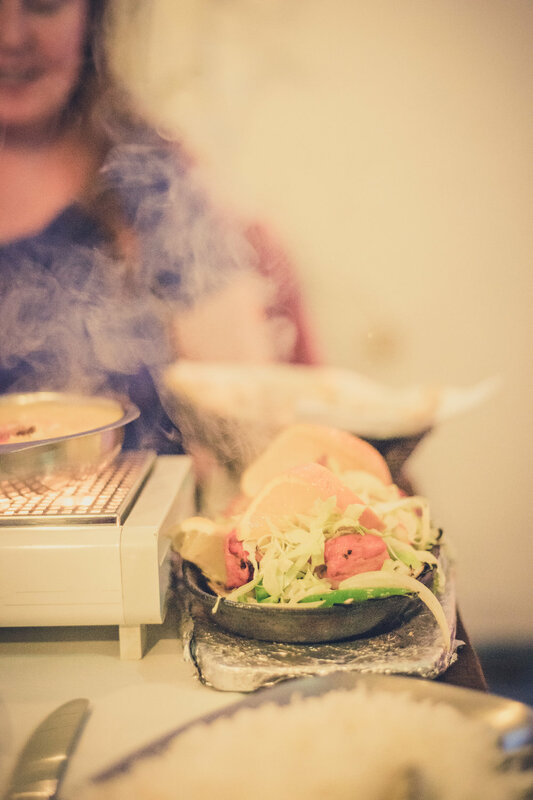 The food is fresh, light and delicious - you really must come here for lunch or dinner. We had to drag ourselves away as there was more to see. We headed for Loulé’s medieval castle which is mighty impressive and has a great view from the battlements. After all that, it was time for some wine! We headed back to the indoor market which was now the scene of many wine stalls beckoning us - of course, we had to taste one or two! For €3 each we were given an empty wine glass, housed in, what can only be described as, a ‘hands-free wine purse’, bread and cheese, and sent on our merry way to sample whatever we liked. We were introduced to all the wine regions of Portugal and no longer were we going to be biased towards the famed Douro Valley wines. We felt like connoisseurs! If you’re planning a trip to the Algarve you’d be hard-pressed deciding where to base yourself. It really depends on the time of year and the type of holiday you’re after. We’ve only given you a tiny sample here of what the Algarve has to offer and there’s something on in every town for every month of the year. The one thing we do recommend is having your own transport if you are inclined to get away from beach life for a while. 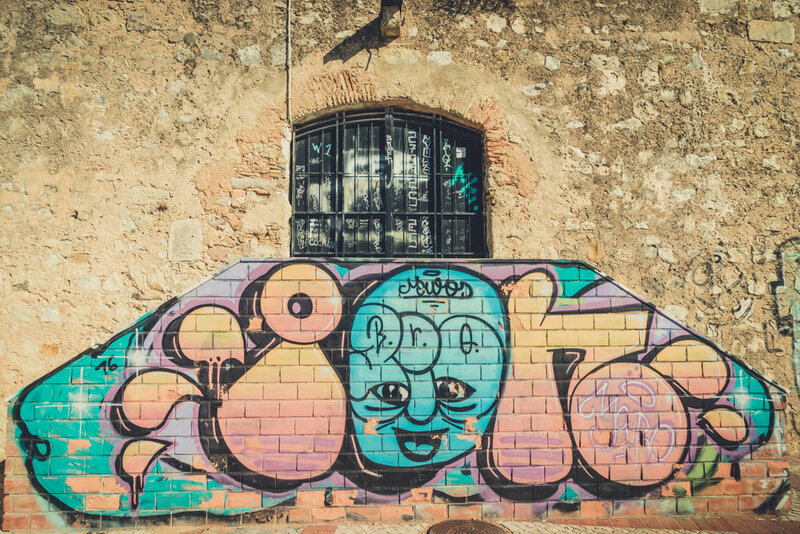 The freedom it offers is priceless and it’ll give you more variety in your holiday, whether you’re looking for historic sites, real local food (and wine), bustling markets or a music festival. There’s even some beautiful walks and stunning views in the mountains of the Algarve. Have a read of our adventures in Monchique and Foia high up in the mountains, a fantastic hike up Rocha da Pena and a cliff top walk that leads to one of the most beautiful beaches in the world!